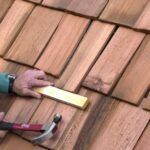 How to buy the best wood shingle and shake roofing, including helpful wood shingle construction diagrams, and advantages and drawbacks of wood roofing. Most wood shingle roofs are made from western red cedar for its durability and resistance to insect damage; others are made from preservative-treated pine or similar species. 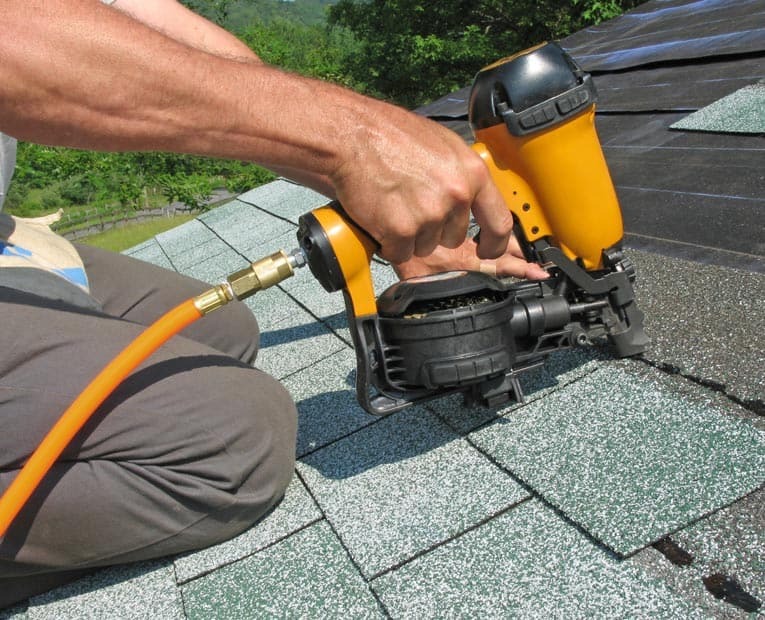 Shingles and shakes come in varying lengths, usually 16, 18, or 24 inches, and in random widths. Wood shingles are relatively smooth; deeply grooved, rough-hewn shingles are called shakes (which have a more rustic appearance). 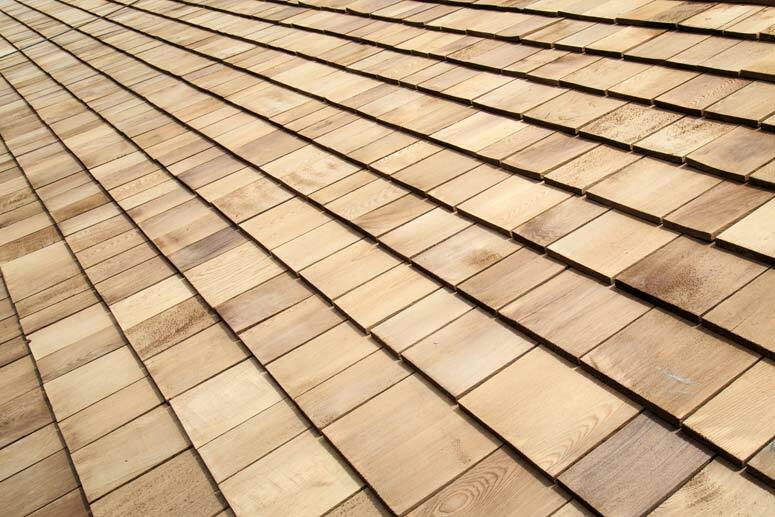 Real cedar shingles and shakes are perennial favorites for roofs because of their natural, rustic appearance. Shingles, thinner than shakes, have smooth, sawn surfaces. Shakes may be either sawn or hand-split for a more rugged appearance. Shingles are expected to last 15 to 25 years and shakes up to 50 years. 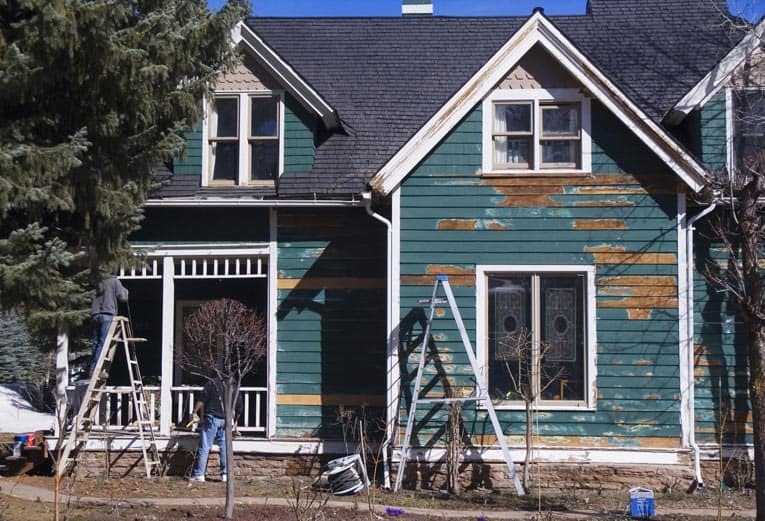 In fire-prone areas, wood shingles and shakes may require pressure treatment with fire retardant or may be forbidden entirely. 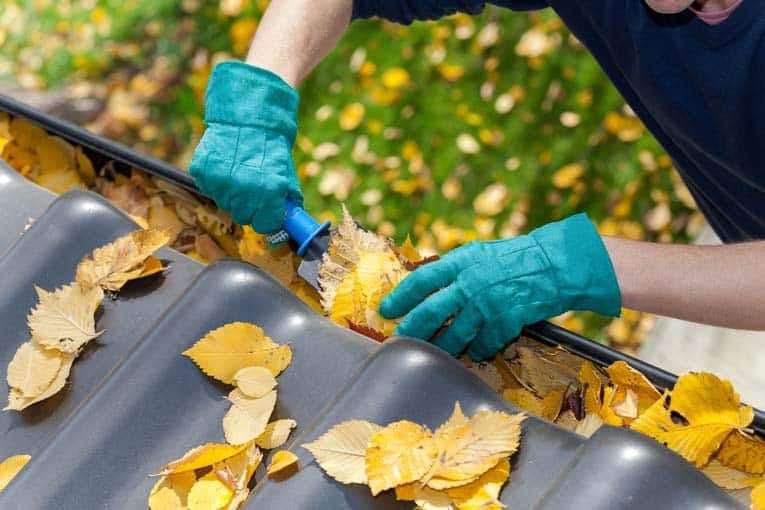 In humid climates, where fungus and mildew can be a problem, wood roofs should be treated with a fungicide after the first year (you can also buy types pretreated with preservatives). Fancy-cut wood shingles are available in a variety of shapes, including fish- scale, cove, and V-cut patterns. These are used primarily for siding details. Wood shingles require open sheathing consisting of 1 by 6 boards that are spaced apart. The spaces allow air to circulate around the shingles to prevent moisture buildup underneath the wood. Wood shakes with deeply grooved textures that allow for air circulation may be applied over solid sheathing with interlays of 30-pound roofing felt. Some shakes may be applied over open sheathing.